The Butterfly Farm Table is a 5ft. table that expands to 9ft. with self-storing leaves. The innovative table can almost double in size to seat up to 14 guest. When closed the 5ft. 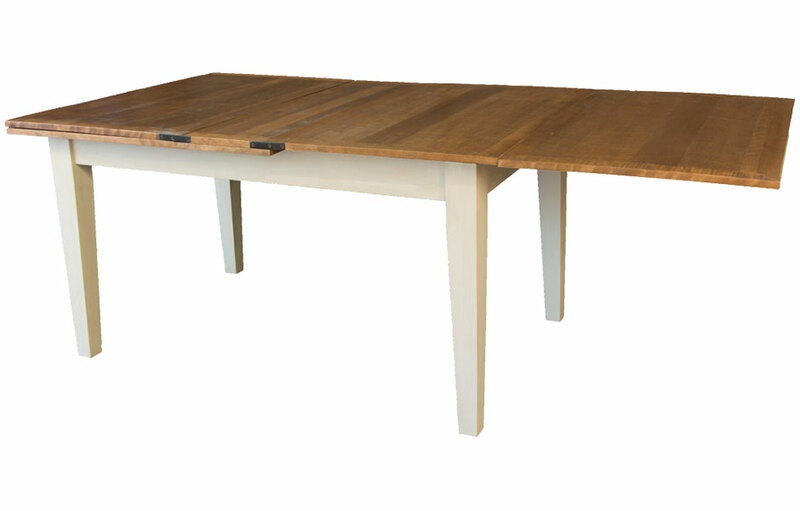 dining table is ideal for a kitchen or small dining area with room for expansion. The (2) 24" leaves store under the hinged top and can be pulled out in seconds to extend the table to 9ft. The French Country hardwood turned legs are 4" with round and ball turnings. The top is rough-cut Birch. Searching for a small dining table that extends for big dinner parties? The Butterfly Farm Table is the table. This unique, 5-foot farmhouse table has two self-storing leaves that can be pulled out to extend the table from 5ft. to 9ft. The innovative farmhouse table stores (2) 24" leaves under the table top, that can be easily pulled out to extend the table in just seconds. The strong, self-storing extension leaves glide effortlessly on supports that lock into place and create a large dining table. It's the perfect table for a family of 6, that regularly has up to 14 guests. 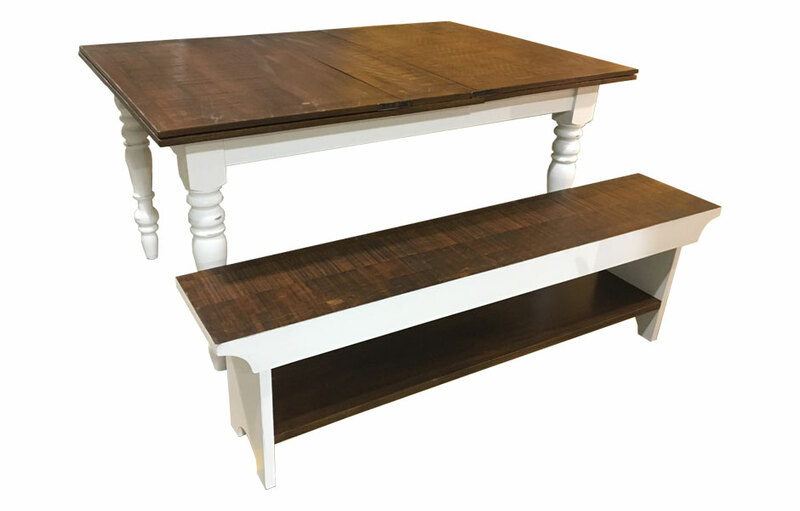 The solid wood farmhouse table has hardwood 4" turned legs with round and ball turnings, or square taper legs, adding to its French Country style. The top has metal hinges on the sides to lift, access and operate the self-storing leaves. 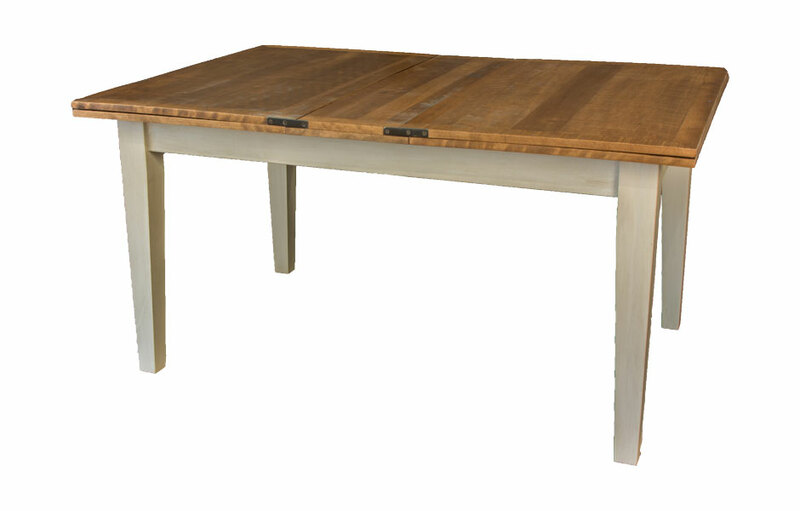 The sturdy farmhouse table is ideal for a kitchen or small space with the capacity to expand. 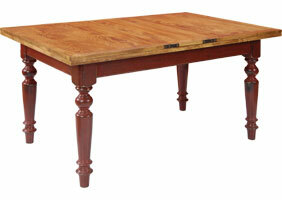 The sturdy, solidly built table has mortise-and-tenon joinery on the legs and table skirt. The expanding dining table can be used with (1) leave for 84" table length, or (2) leaves for 108" table length. 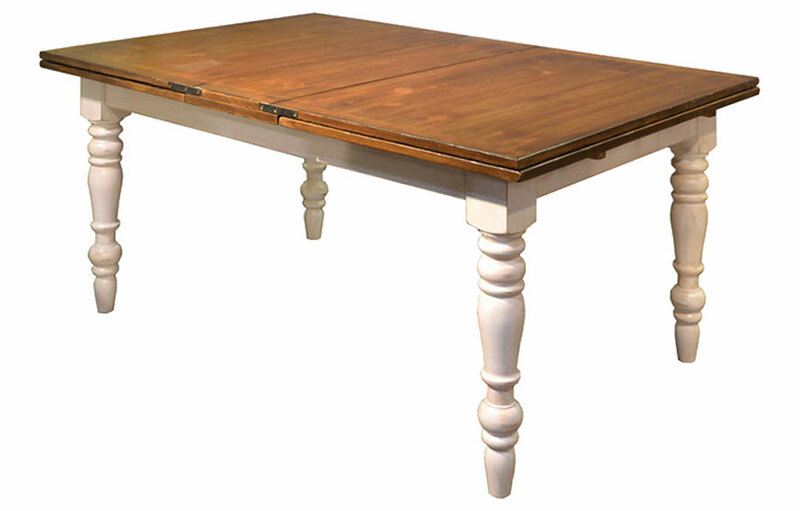 The Butterfly Farm Table can be finished in any of our paints and or stain finishes. The standard French country finish is stained top with a painted base. 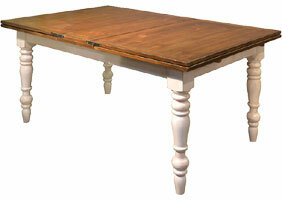 However, the dining table can be painted or stained all-over one color for a traditional, rustic, or cottage style. 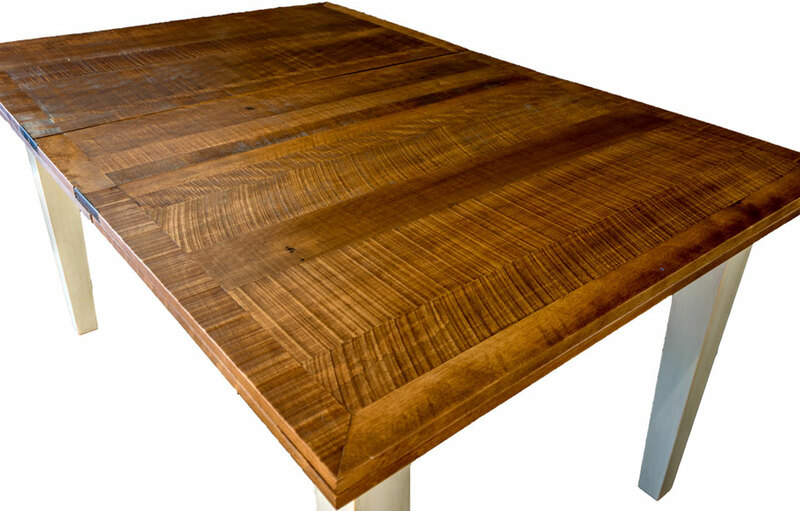 We offer (1) style of top on our Butterfly Farm Table: Stained Pine. Our Aged Finish tops are also available, these colors are Caramel, Sequoia, and Tuscan Sunset (see above color links). Aged Finish tops are achieved with a stain, glaze and surface distressing.